Buffalo cauliflower pizza. It sounds so unusual and yet it was a surprisingly satisfying pizza. We agreed it would probably be good, but not THIS good! Its a fairly simple recipe and we made it even easier. 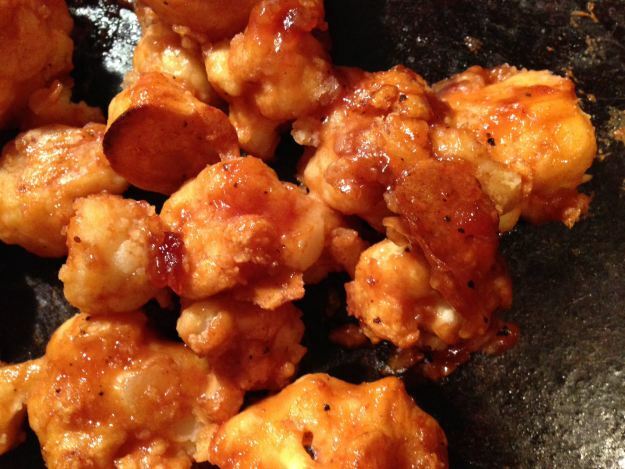 Using the buffalo cauliflower recipe we made the topping for our pizza. Try not to eat it all before making the pizza. 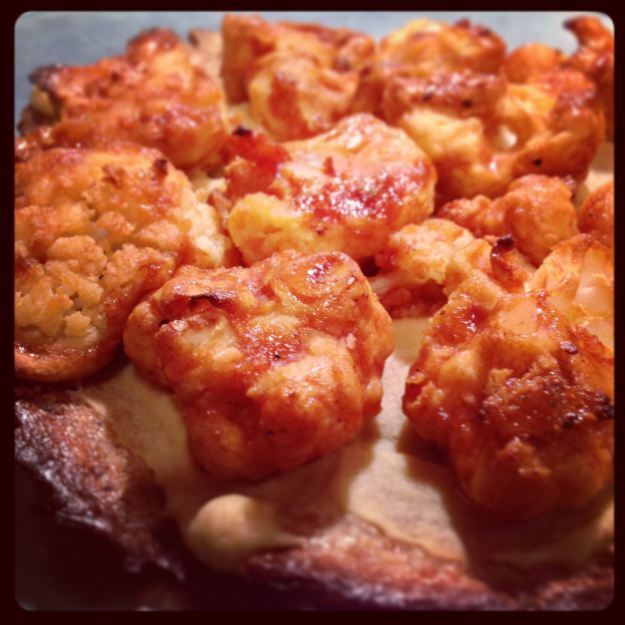 Since neither of us are fans of blue cheese, we topped a storebought brown rice crust with some garlic hummus and the buffalo cauliflower topping. Back in the oven for another 10 mins and we had great pizza! 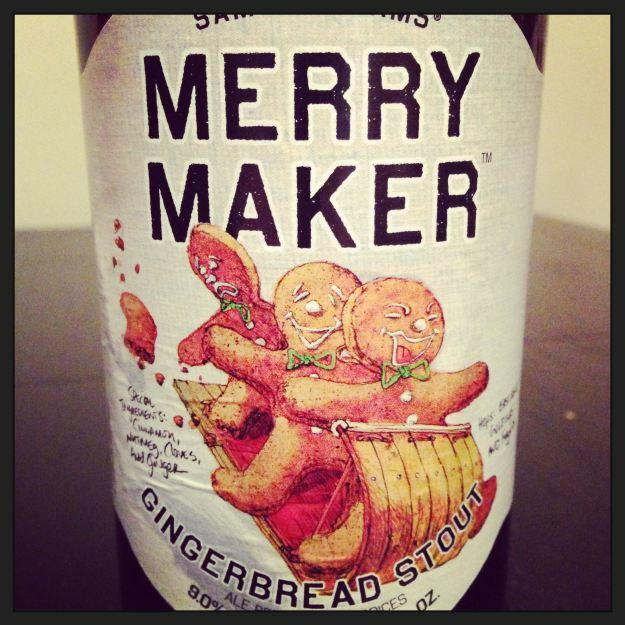 It was even better when I paired it with the following festive beer!